I’m a University of Texas/Tulane graduate and former Peace Corps volunteer. I currently work in the field of international education, focusing on outcomes assessment, marketing, and analytics. In my current position at ISA, I lead projects involving data analysis and platform integration, education technology, email marketing campaigns (coding and tracking), and corporate video production. I've worked at ISA for over six and a half years, during which I've played a key role in program development - leading our 2016 inaugural Havana, Cuba summer program, marketing initiatives, the development of our Advisor Portal (enrollment management tool), and created a modular training course for employee LMS on-boarding - allowing ISA to assess student learning through a 3rd party mobile app. 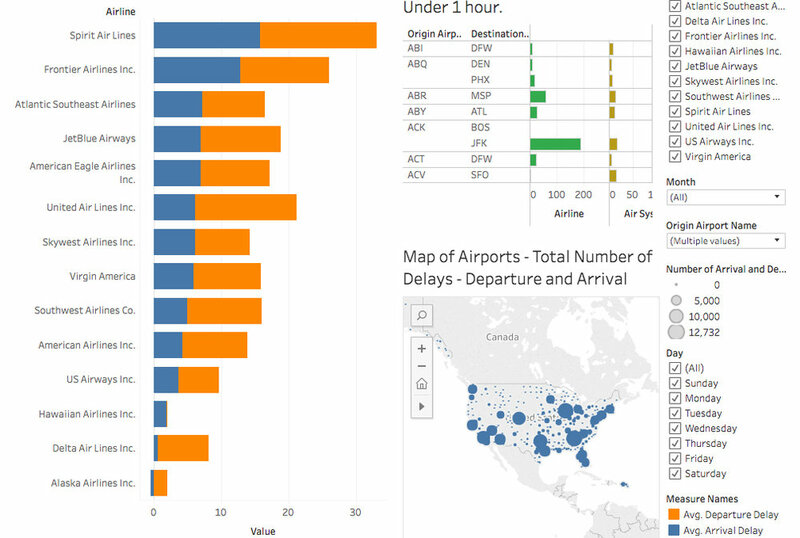 Manipulate the Tableau Dashboard to better understand what causes airline delays, where most occur, and how airport administrators can mitigate their effects. This dashboard contains booking, profit, and tax data from my Airbnb rental. Filter data to find most commonly booked months of the year, and compare yearly quarterly profits, from 2013 to 2017.